Thierry Escaich teaches improvisation and composition at the Paris Conservatoire, and is organist at the church of Saint-Étienne-du-Mont in Paris, where he succeeded Maurice Duruflé. He tours internationally as a performing artist and composer; his concert programs feature a large repertoire in addition to his own works and improvisations, for which he is world-renowned. As a composer, he was discovered in 1989, when he received the Prix Blumenthal from the Fondation franco-américaine Florence Blumenthal, and to date has written more than one hundred works. Other awards for his compositions include the Prix des Lycéens (2002), the Grand Prix de la musique symphonique from La Société des auteurs, compositeurs et éditeurs de musique (2004), and, on three occasions, the Victoires de la Musique Composer of the Year (2003, 2006, 2011). 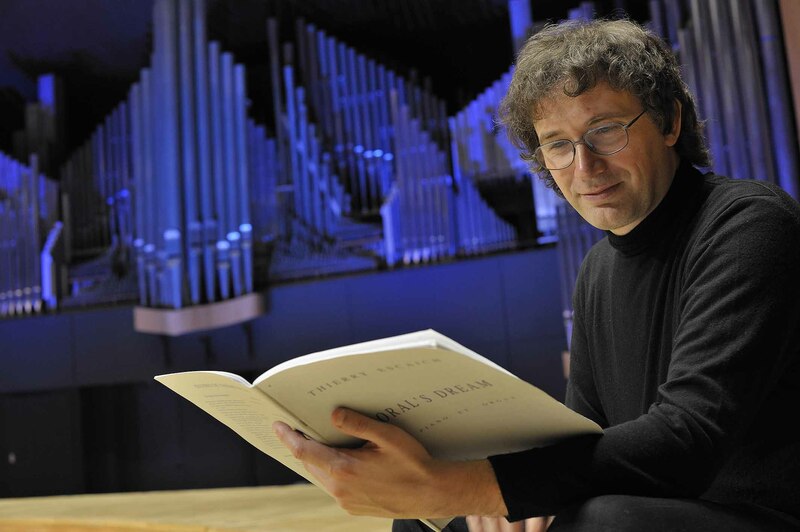 Although he mainly composes for the organ, M. Escaich is open to all types of genres and forms, always exploring new sound horizons. Recent compositions include a ballet written for New York City Ballet, and an opera based on Victor Hugo’s Claude Gueux, with a libretto by Robert Badinter, premiered by Opéra de Lyons in March 2013. Since 2011, he has been associate composer with the Paris Chamber Orchestra and previously held similar positions with the Orchestre National de Lille, the Orchestre de Bretagne, and the Orchestre National de Lyon. M. Escaich has many recordings available on the Accord/Universal label—featuring both solo organ performances and recordings of his own compositions—which have received numerous international awards and critical acclaim.